Matt Tolfrey inaugurates the new Visionquest sub-label Brachtune with ‘The Untitled’ EP. In the pursuit of finding new talent and delivering solid club cuts, Visionquest get set to launch their new off shoot label, Brachtune. The first release sees Leftroom boss Matt Tolfrey deliver ‘The Untitled’, which is being brought back to light after originally appearing on Rekids sub-label Cabin Fever under no artist name. An essential piece of DJ weaponry, ‘The Untitled’ builds intensely with a powerful bassline, hypnotic synths and female vocals for ultimate climax and effect on the dance floor, while the ‘EC1 Mix’ takes it deeper with a new and powerful bassline and trippy FX. The ‘Ghetto Mix’ fully delivers with an infectious groove and a fuller play of the vocals, while the beatless yet powerful ‘FX Mix’ rounds off the EP perfectly. Good friends, Matt Tolfrey and Visionquest member Ryan Crosson recently joined forces to record the well recieved mix CD ‘Don’t Be Leftout’ on Matt’s Leftroom label and Matt is clearly the perfect fit for the first release on the label. 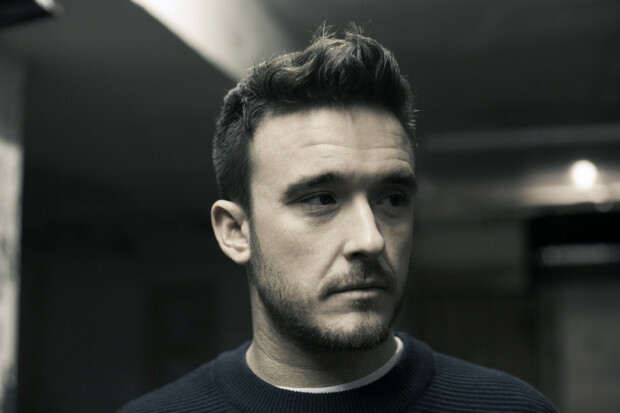 Londoner Matt Tolfrey is highly respected DJ and producer, having released and remixed on the likes of Cocoon, Crosstown Rebels, Culprit, Get Physical, MURK Records and of course his own Leftroom. Very successful at running a label, Leftroom is nearing its 50th release which will be an EP from Matt himself. Matt’s career has seen him deliver a live Essential Mix on Radio 1 from Sankeys Ibiza, as well as a hugely successful residency at that same infamous hotspot, to a ten-year anniversary at Fabric, shows as far as Japan and Peru, as well as appearances at Detroit’s Movement Festival, Seattle’s Decibel and Piknic Electronik in Montreal. Plus a residency with New York’s Verboten. He also hosts a monthly radio show on London’s Rinse FM, which has been key in bringing new sounds to the London underground scene. Since last year, Matt has taken the collaborative vibe of Don’t Be Leftout across the globe for showcases in NYC, Amsterdam, Rome, Barcelona, Paris, Miami, Berlin and Chicago.